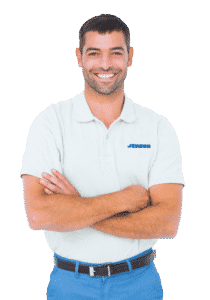 At Jenson Companies, we believe the best service comes from a knowledgeable and trained team. Jenson seizes every opportunity and possibility for training relevant to the equipment we work on. As Authorized Service Agents on behalf of several manufacturers, our technicians receive factory training and hands-on experience troubleshooting equipment. This training benefits our customers by reducing the diagnostic time and ensuring a successful repair the first time.